Quick refresher, we turned back the clock to 2004 and made the Alex Rodriguez trade to the Red Sox happen. Is the trade a bust already? Alex Rodriguez and the Boston Red Sox were not able to win it all in 2004. It is hard to blame Alex though as he had a great season. 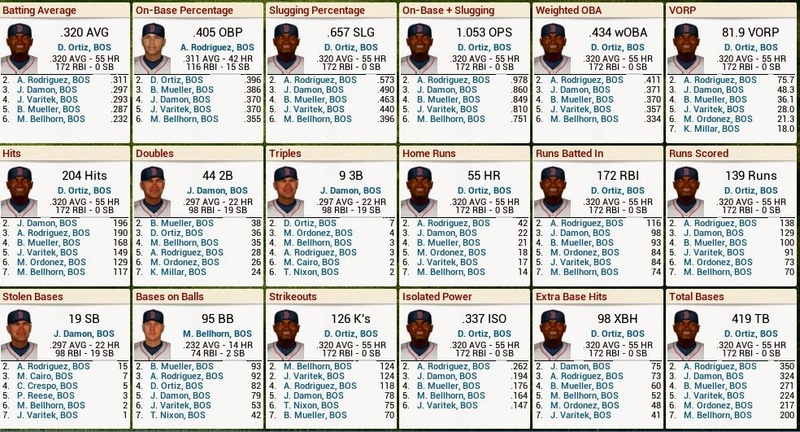 David Ortiz had a monster season as well. It was enough for the Red Sox to win the division and tally 100 wins but not win a title. Moneyball finally paid off as the Oakland Athletics finally won it all. 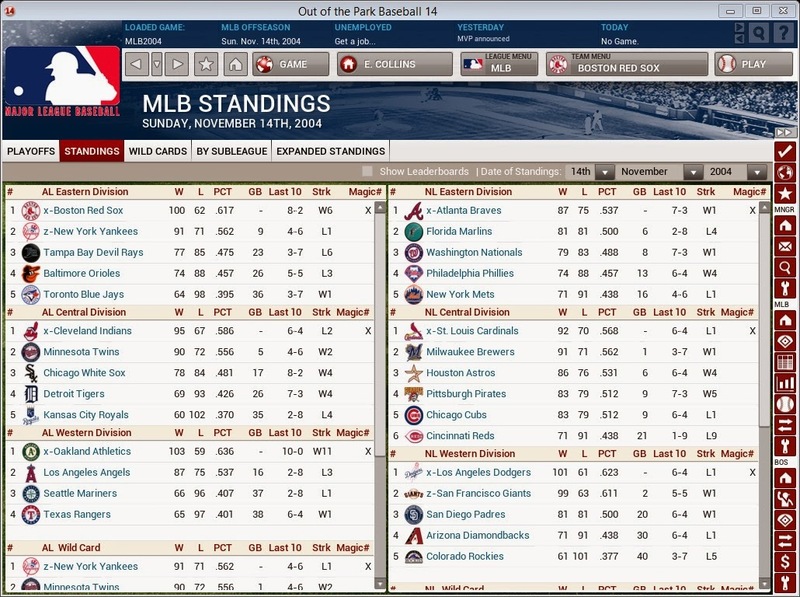 The Cardinals, just like in real life in 2004, would fall in the World Series. 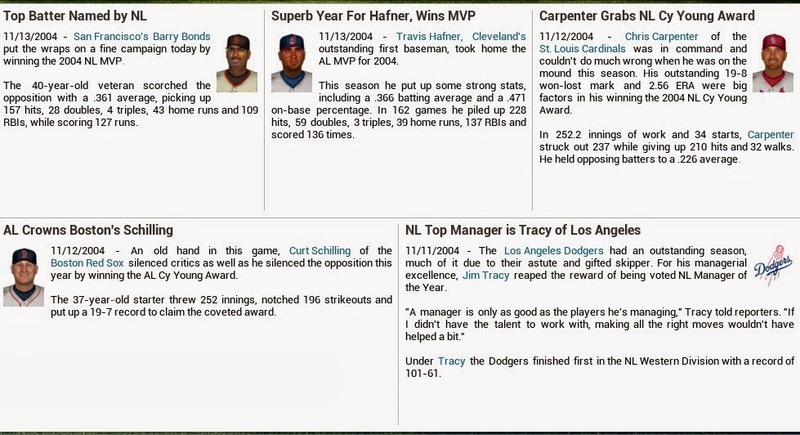 Barry Bonds and Travis Hafner would take home MVP for the NL and AL while Curt Schilling would win the AL Cy Young Award. The surreal moment of the season was a trade between the Red Sox and Yankees. The Red Sox shipped prospect Kevin Youkilis to the Yankees for second baseman Miguel Cairo and pitcher Brad Halsey. The Yankees were obviously in need of a third baseman and the Red Sox lost confidence in Mark Bellhorn. Remember when every Red Sox fan in the world lost confidence in Bellhorn during the 2004 postseason. Thankfully Terry Francona did not. 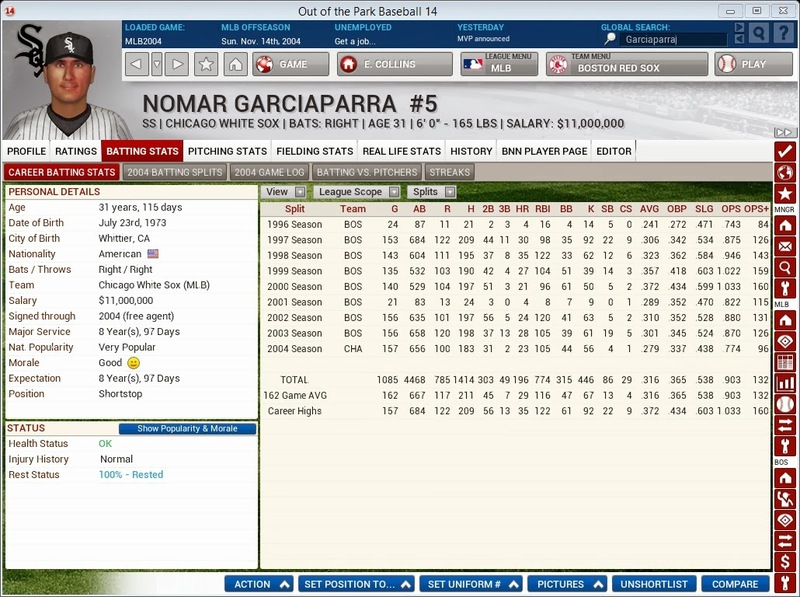 Nomar Garciaparra had a below average season for him and could this be the rapid decline that we saw in real life? Magglio Ordonez signed with the defending World Champion A's but the Sox signed prized free agent Carlos Beltran while they let Johnny Damon walk. Nomar Garciaparra has yet to sign with a team as we get ready for the 2005 Opening Day. The Red Sox are picked to win 96 games but finish behind the Tampa Bay Rays in the AL East. The Yankees signed Jeff Bagwell in the offseason but did not upgrade their pitching. Hanley Ramirez is slated to play third base and DH for the Red Sox in 2005. Will the Red Sox use him as trade bait? Stay tuned. You can also Buy Out of the Park Baseball 14 right here. Great story. Can you tell me how your run your sims? Do you control a team? If so, how often do you play the games? Do you just do comm. mode and let the computer play the season out? Thanks for reading and commenting. For this, I am completely hands off. I have it in Commissioner Mode just so I could move around the players on the correct teams if the trade had gone down the way it was supposed to. Once I did that I just hit the simulation button and then watch and blog about it. I will be doing the 2005 season this weekend. This is a weird way for me to play. 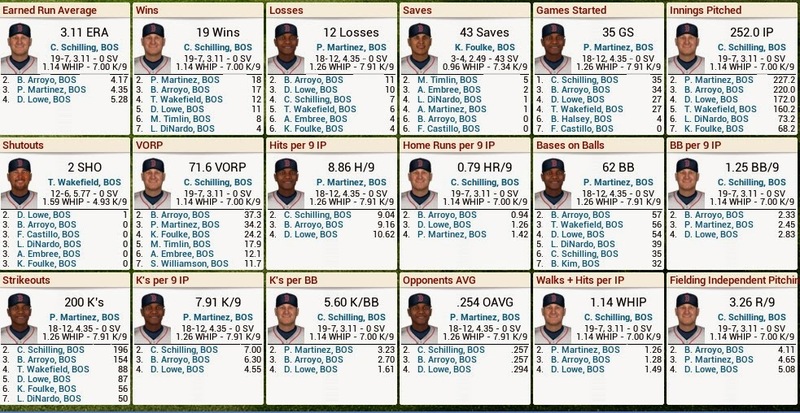 I usually control the Red Sox as the GM or take over a team and act as a GM and manager and play out every game. 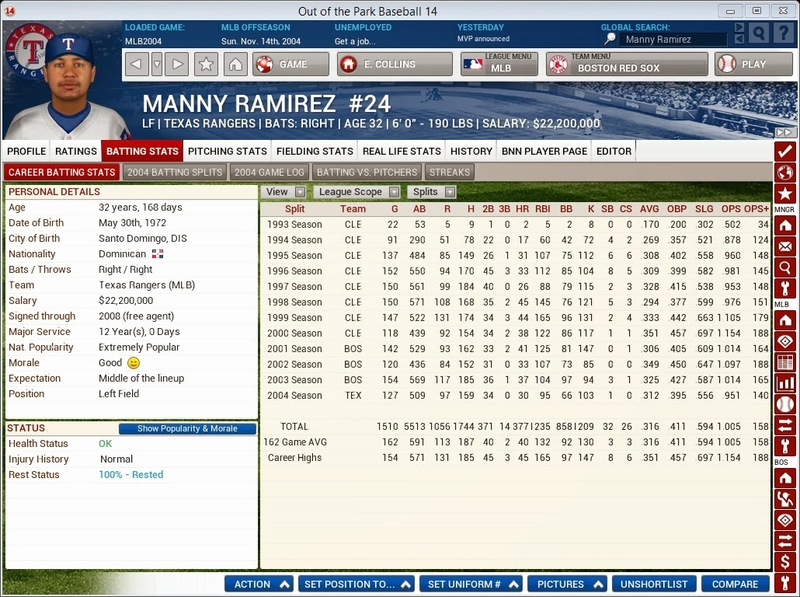 The great thing about OOTP is there are so many ways to play.